In the closing chapter to their debut album Lifelines, Michigan rock group I PREVAIL give fans their signature mix of narrative and humor with their new music video for “RISE”. 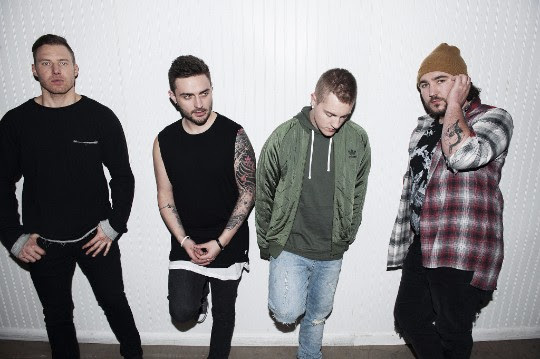 Directed by the team at Dominar Films, the video follows the boys of I Prevail attempting to face off against the most challenging of foes in a modern arcade environment. The track is a favorite off their debut album Lifelines, released in 2016. The band is currently playing mid-west dates at select venues and making several festival appearances, including Rock On The Range, Rocklahoma, and Rockfest. In the span of two years, I Prevail have played festivals like the main stage on the Vans Warped Tour, Rock On The Range, Carolina Rebellion and have mostly sold out over 200 headline shows. To date, their debut album Lifelines is approaching 400,000 albums sold worldwide. I PREVAIL is Brian Burkheiser (clean vocals), Eric Vanlerberghe (harsh vocals), Steve Menoian (lead guitar), and Dylan Bowman (rhythm guitar).